A New York Times bestselling author, a Pulitzer Prize finalist, and winner of the National Book Critics Circle Award, Louise Erdrich is an acclaimed chronicler of life and love, mystery and magic within the Native American community. 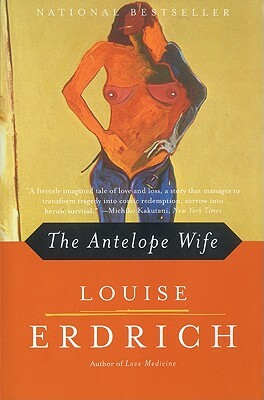 A hauntingly beautiful story of a mysterious woman who enters the lives of two families and changes them forever, Erdrich’s classic novel, The Antelope Wife, has enthralled readers for more than a decade with its powerful themes of fate and ancestry, tragedy and salvation. Now the acclaimed author of Shadow Tag and The Plague of Doves has radically revised this already masterful work, adding a new richness to the characters and story while bringing its major themes into sharper focus, as it ingeniously illuminates the effect of history on families and cultures, Ojibwe and white.